Wings N' Flying Things: Phoenix - it rises from the crashes!! Phoenix - it rises from the crashes!! Old models never die - they just crash and get rebuilt! I don't really know what this model started life as - It's one of the models I rescued from the ceiling of a hobby shop. 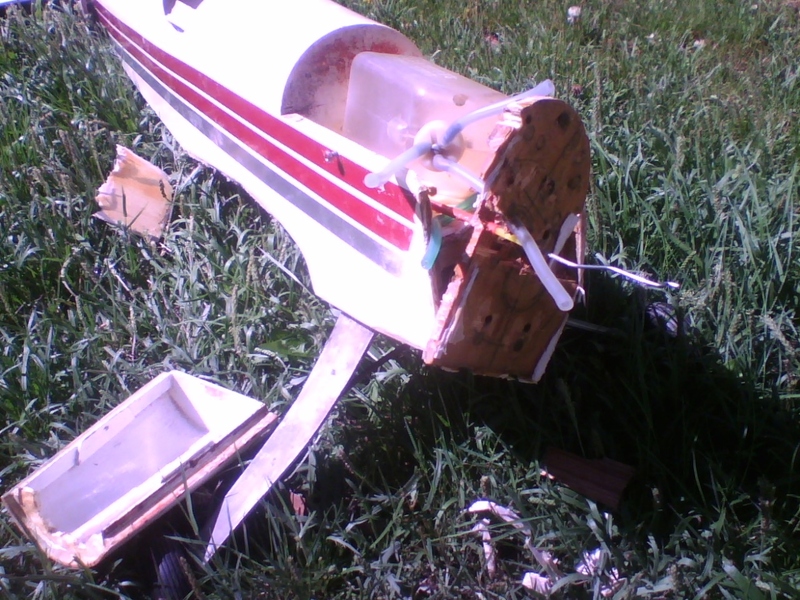 I brought it home - fitted some servos and a motor and crashed it after a couple of flights - the bloody ground jumped up again. Not a lot of damage the first time - just some gravel rash and a bent up beyond recovery under carriage. So I cleaned up the gravel rash, fitted an aluminium undercarriage I had lying in the box doing nothing and took it out again. Result - the ground again?? - nah - a bloody tree jumped out in front of me when I was flying inverted. This time the result was a little more painful - Soooo - rebuild #3. 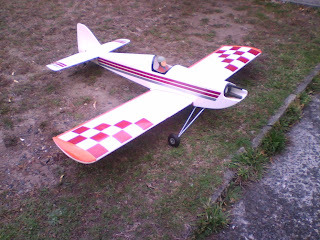 Half a dozen flights and - this time the aileron servo went on strike - in the middle of a roll - I MUST remember the 3 crashed high rule. And - what happened the last time - if you want to know more the latest rebuild now has it's own page.